Around the country, calls for pay equality are reaching fever pitch levels. You do not have to be a human resources professional, legal counsel or an employer to have heard the claim that an unexplained pay gap exists. Hitting every industry, pay equity is at the forefront of the legal issues facing employers. A variety of new laws, pending legislation, and administrative agency actions are making it easier for employees and government agencies to bring pay discrimination claims. Employees have more information about their pay and the pay of their colleagues as a result of pay transparency laws that permit employees to exchange information about their pay. These developments significantly increase the risk of litigation for employers. Aside from the legal risks, savvy employers also recognize the importance of ensuring they maintain competitive advantage by ensuring equitable pay for their employees. Many employers see the importance of communicating to their communities, customers and applicants for employment that they care about pay equality and are taking proactive measures to ensure fair pay. Fully understanding the reasons for perceived pay gaps is critical given the current spotlight on pay equity and the rapidly changing legal landscape. Employers across the country are paying attention by proactively evaluating and modifying their pay practices, policies, procedures, and implementing training to ensure compliance with new laws. They are also conducting attorney-client privileged pay equity audits on employee pay to assess if there are disparities and if they are appropriately justified. In instances where there are unexplained differences in pay based on gender or race/ethnicity, employers are well-advised to implement strategies to make necessary adjustments. With these activities, employers are ensuring they are demonstrating a positive approach to pay equity while becoming well prepared to defend themselves if faced with an administrative or court action. 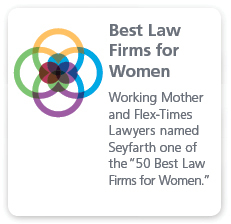 Seyfarth leads the legal industry in thought leadership, privileged pay analyses, and employer advocacy on issues relating to pay equity. The firm has over 20 years of experience handling all aspects of pay equity-related issues. Seyfarth’s Pay Equity Group (PEG) counsels employers on best practices domestically and internationally to guide pay practices. PEG conducts, under attorney-client privilege, proactive assessments of compensation. If necessary, PEG works with employers to craft appropriate remedial measures to mitigate future risk that have been identified during the proactive analysis. We also have deep experience conducting investigations related to complaints of pay discrimination. When necessary, we bring our unique expertise to defend employers in high-stakes pay equity litigation. 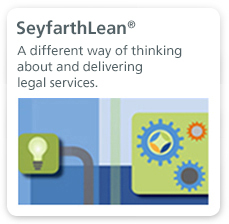 Seyfarth’s thought leadership and employer advocacy has included its testimony before, and comments to, the U.S. House of Representatives, the U.S. Senate and administrative agencies such as the Equal Employment Opportunity Commission. Seyfarth has demonstrated its extensive scholarship and industry-leading testimony on behalf of the country’s employers. Efficiency/Expertise: You will benefit from the efficiency that results from our depth, breadth and length of experience in this practice. Alignment/Risk Identification: We know how to conduct pay analyses taking into consideration the compensation administration perspective while also considering risk under the applicable state, federal laws and administrative agency requirements. Confidentiality/Security: We maximize confidentiality by establishing and maintaining an attorney-client privilege protocol. Our data security protections are among the best. Forward Looking/Risk Prevention: We know how to help you put in place guardrails that will promote consistent pay practices going forward. Pragmatic/ Real World Advice: We know that your budgets may be limited and can advise you on approaches to remediation that may be phased-in over time. Vision the Future/Innovative: We know how to envision and implement better systems and processes to support compliance; for example, we have helped clients build systems and processes to conduct real-time pay increase evaluations for equal pay during the annual pay cycle. Public Image/Your Values: We are sensitive to the power of the media, including social media, to affect your brand and reflect your values. We will seek to understand your culture and how pay operates within it. Leadership/Cutting Edge: We are on the cutting edge of what is going on around the country and internationally and are frequently quoted by the media as experts and thought leaders. We are pleased to offer our free 2019 50 State Pay Equity Desktop Reference: What Employers Need to Know about Pay Equity Laws. We also offer a comprehensive 50 state survey covering: citations to the current statute; citations to pending amendments/bills; protected status; comparison group; whether location can be considered; burden of proof; affirmative defenses; statute of limitations; damages; length of back pay; remediation; and comments or other notable differences from federal law. For additional information on this extensive survey, please email payequity@seyfarth.com. 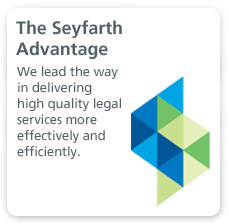 Contact a Seyfarth attorney to discuss how Seyfarth’s PEG may benefit you. Read our free guide on what employers need to know about pay equity laws. Read our free overview of recent developments in pay equity litigation.